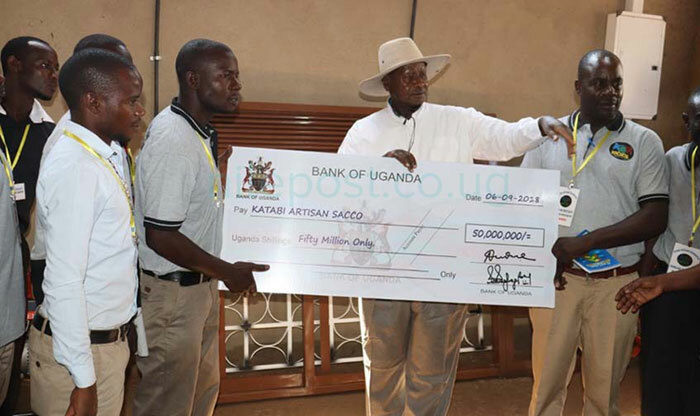 Of late, President Yoweri Museveni, has been donating money to, especially Bazukulu groups that are deemed to be Savings and Credit Cooperative Organizations (SACCOs). The point is to assist the members of these groups to be self-sustaining in their businesses and small-scale concerns and individually financially secure. Whereas this is a commendable move by the President, meant to have people eventually reach the middle-income status by 2020, loopholes have been detected in the manner of these ‘SACCOs’. They are not operating according to the institutional dictates of the Ministry of Finance and Economic Development. We have reported extensively about the operations of SACCOs in the country and recorded a number of pitfalls that tend to undermine their success. Yet new developments have been seen in these ones. It has been seen that when the people concerned learn that the President is visiting them, they suddenly form “SACCOs” in anticipation for the President’s largesse. The moment he goes off, the SACCOs, too, disappear. In one of these, it was observed that, those concerned simply divided the money among themselves – thus the “SACCCs” was no more. Many activities are being operated under the auspices of corruption. This is a big drawback to any well-intentioned moves from whichever quarter. Recently, the Minister of Ethics in the Office of the President, Simon Lokodo, bravely went on record to say that some of the corrupt activities are being master-minded by the officers in State House using the President’s name for their nefarious activities. And so it is suspected that the formation of these SACCOs, are at their behest. In effect, these fellows know where the President is intending to go and so they hastily approach the people for whom this effort is intended; and they “advice” them to get into the groups so as to benefit from the money. Needless to say, they are privy to the effort the President will be intending to make. So, they are in a very good position to “arrange” to divert this money. While the time may not be to the best advantage for the immediate establishment of these groups, efforts should be taken to see that they operate under the guidelines such institutions are mean to work. There is a whole department in the Ministry of Finance meant to undertake the operations and sustainability of the SACCOs. It is imperative that whoever is concerned should attest to the principles of how such concerns are formulated and run. In the long run, having observed these institutional methods, there will be a recorded benefit for the members, whom such financial activities are meant for. In the process, these opportunistic individuals, wherever they function from, would be avoided. And if they tried to circumvent the process of such institutions, it would be easier to uncover and deal with them. In the meantime, it is important to heed the observation Fr. Lokodo has been capable to observe under his authority. That way we may all gain from the threshold of 2020.